While many people reap the benefits of chamomile in tea form, it's also available in supplement form for daily use as well. Solaray offers Chamomile, a dietary supplement that delivers nutritional support for healthy levels of relaxation, as well as the soothing of multiple bodily systems. It may provide other health benefits as well. 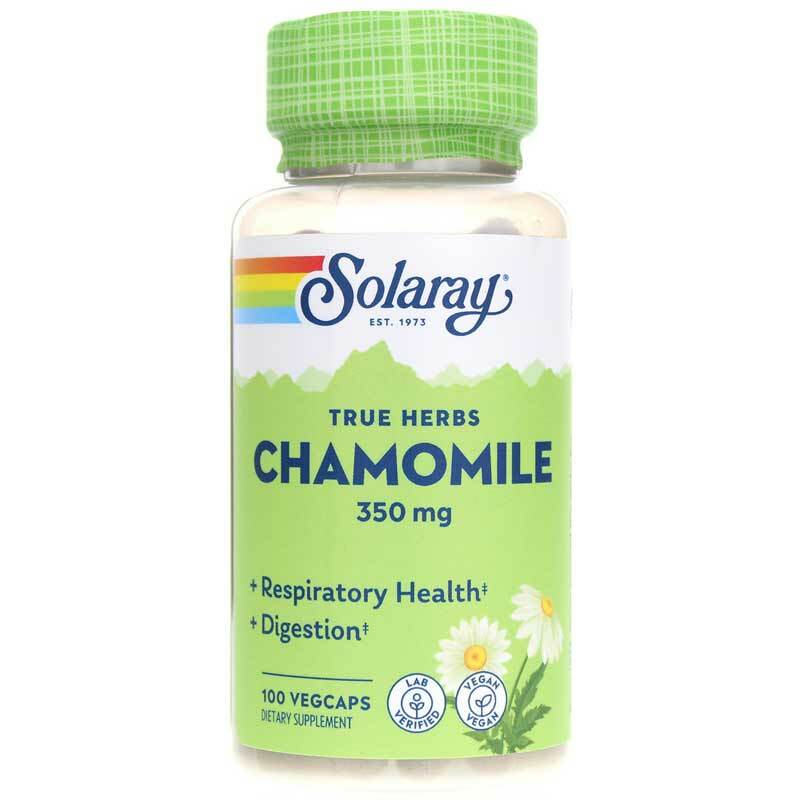 Solaray's Chamomile contains 350mg of chamomile in every easy-to-swallow VegCap. 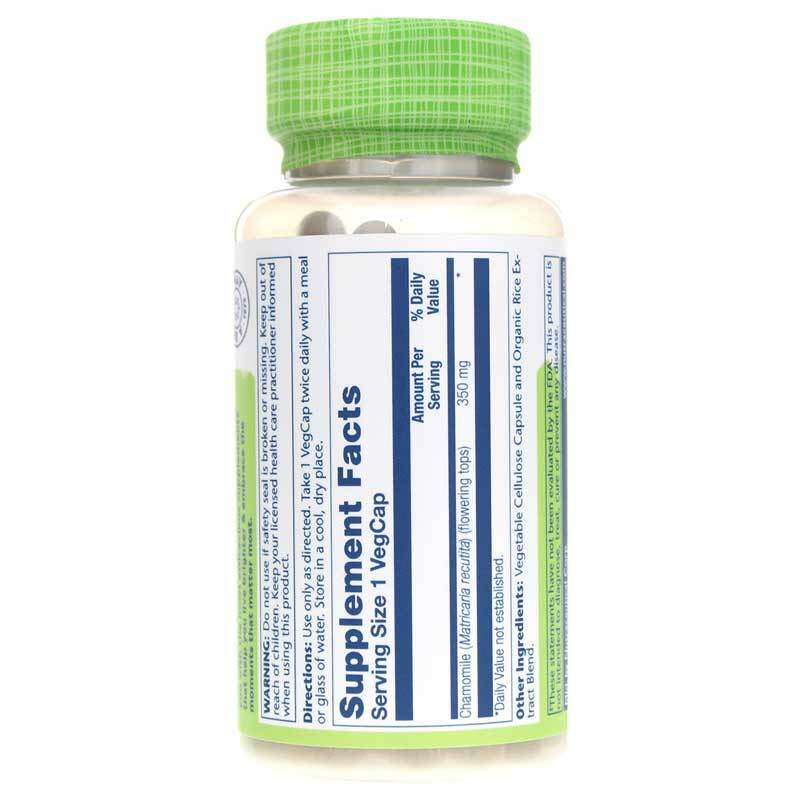 When 1 VegCap is taken twice every day, it may support for optimal relaxation and an improved sense of overall wellness. Give it a try today, and see the difference it may be able to make for you. Order now! Other Ingredients: vegetable cellulose capsule, organic rice extract blend. Adults: Use only as directed. Take one VegCap twice daily with a meal or glass of water. 2 capsules help me shut my thoughts off when my mind is on overload. Calming! 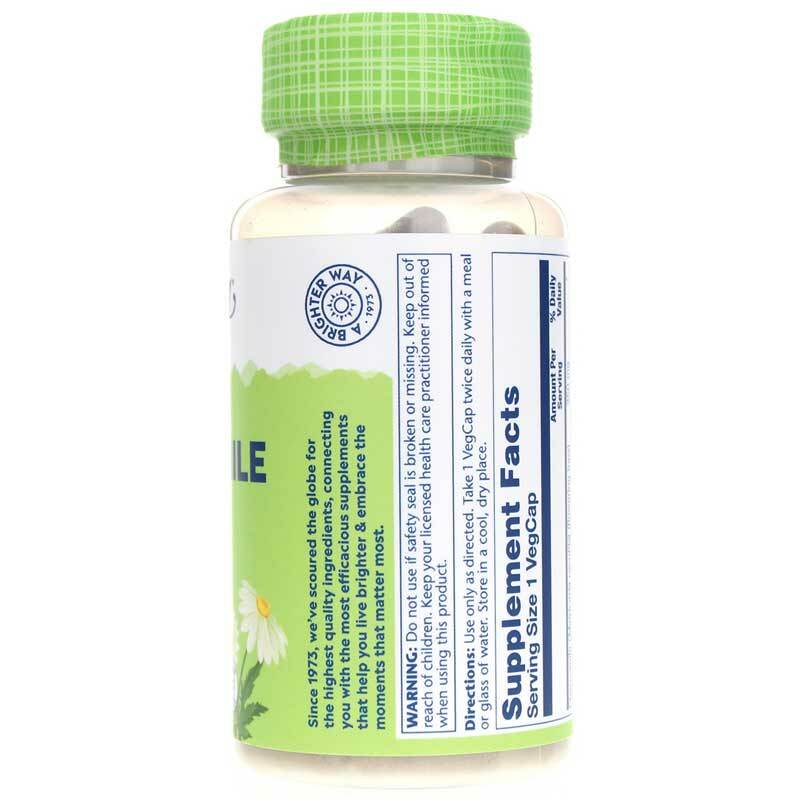 Chamomile 350 Mg is a great natural product. Chamomile 350 Mg is a great product that does exactly what it says. I will continue to take it.